I absolutely love me some mermaids and I think this baby doll is one of the cutest things I've ever seen! I was watching an older movie and it showed some children's toys and they had the yellow and orange plastic shopping cart and it reminded me of my girls when they were little. They would shop all over the house with that thing! 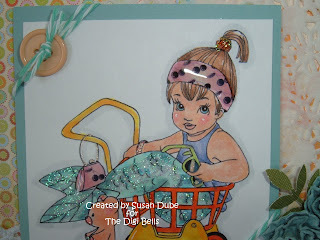 When I saw Catch of the Day, that cart brought back such fun and heart warming memories to me. 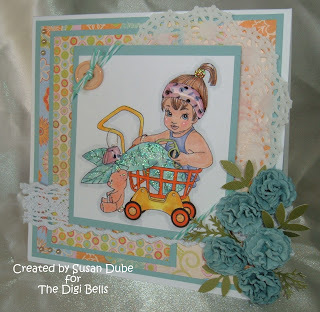 She's a cutie pie that's available at Elisabeth Bell's Digital Collection. I knew that movie was telling me it was time to color this cutie pie up. My little mermaid is colored with copics and is covered with Stickles and Diamond Glaze. The baker's twine is a gorgeous new color, Caribbean, from The Twinery. I absolutely love their products. Such gorgeous colors! The papers are from an older BasicGrey pack and has some of my favorite colors in it! The flowers are handmade and the branches are from a Martha Stewart punches. The doily is from Wilton and the ribbon, buttons, and pearls are from my stash. The layout is from A Die For A Sketch. I really love how her headband came out! A couple of glimpses of the inside. Isn't she just so much fun? Here's a view of the inside. Can you see why I love this paper so much fun? I hope she brightens your day as much as she did mine! 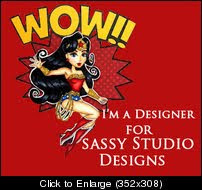 Make sure to check The Digi Bells Design Team Blog tomorrow and see what my other uber talented designing sisters will have in store for you. Also, don't you just love that new, sweet Merry Weather? Check down a couple of posts and make sure to join in on the blog hop for a chance to win this precious, newest member of our digital family! 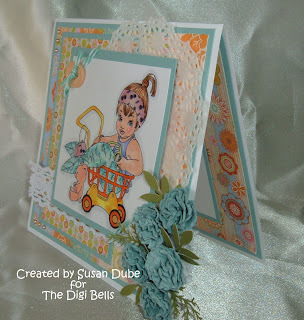 Wonderful card, Susan! 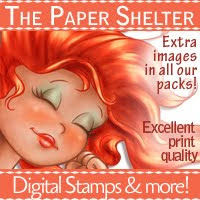 I love the papers and flowers and of course, the adorable image! Terrific coloring and design! Love the colours you've used. Thanks for sharing. Susan, what a cute cute image. Love her sparkly mermaid tail. 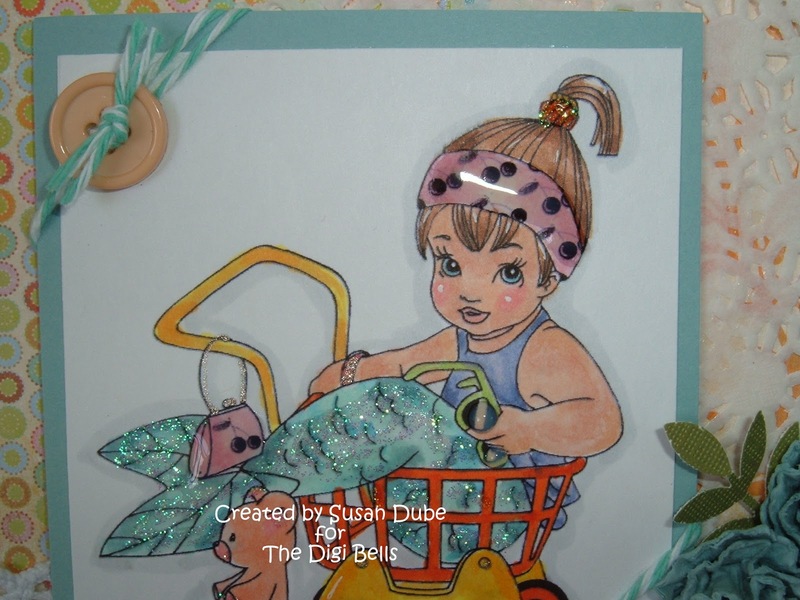 Beautiful coloring.Thanks for joining us at Sparkle N Sprinkle Creative Challenges this month. Wow, I'm loving your mermaid card. The sparkly tail and glossy hairband look fab. Fantastic! Thank you so much for joining us at MIM this week! Don’t forget to leave a comment for another entry and mention you saw them on MIM for a chance at our second prize! Good luck and I hope to see you back next week for another challenge! Welcome to the "Lace &/or Ribbon" Challenge Susan... I like the "wet" look you achieved with the Diamond Glaze and Stickles. I really like the layers, the lace ribbon and the twine in the button - nice touch! 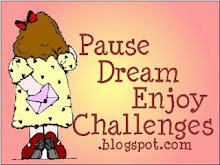 Good luck - and watch for the Craft Your Passion challenge again next Monday! 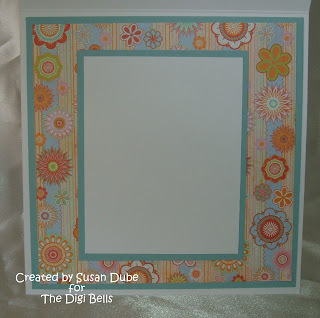 Your card is stunning and I love the headband and how you decorated it inside and out! Thanks for joining us this week at CYP for our ribbon or lace challenge. Delightful card! 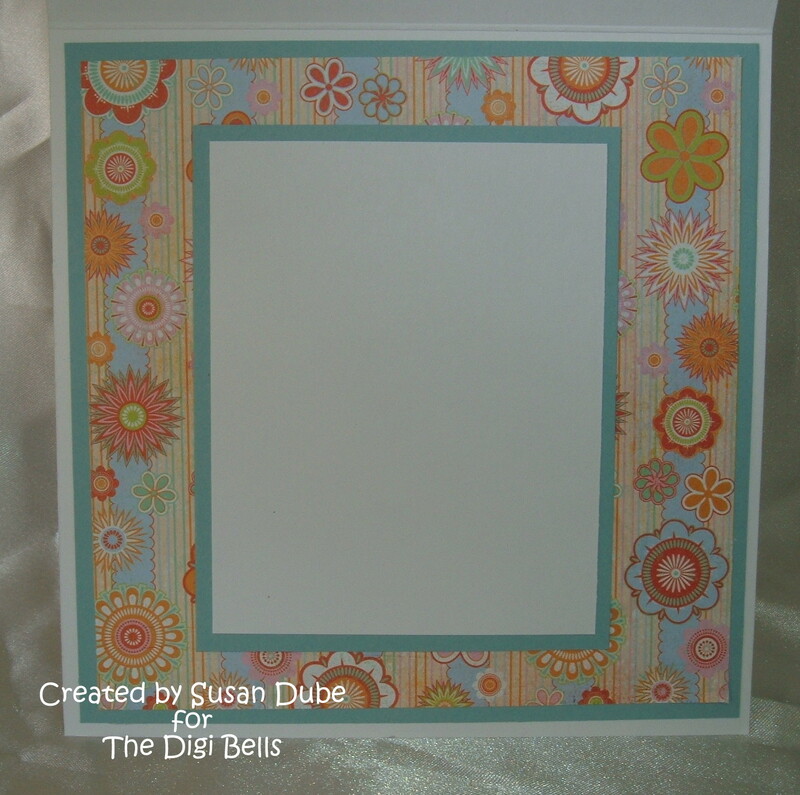 I LOVE the patterned papers and glitter details on your image. Very pretty! I found you at Make It Monday. This is such a cute card! I love the image and all the wonderful elements! Great job! Thanks for joining the SNS challenge! Thanks for sharing your pretty card with us in the Tea Room. 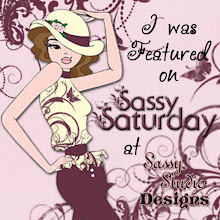 Fabulous design...love the pretty details on the image! Oh she is too cute, Love your image and the DP's are really pretty. 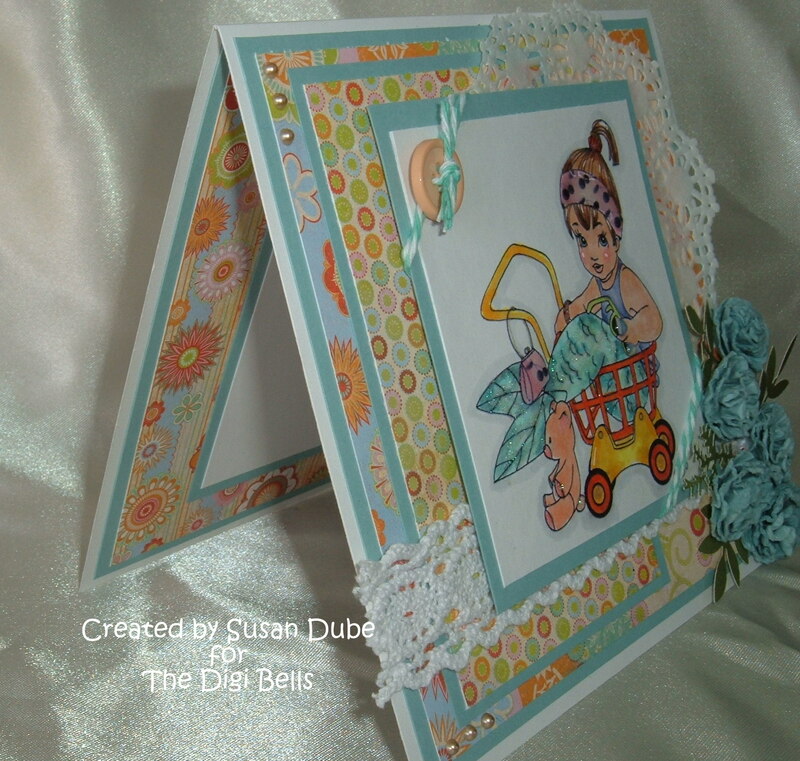 Beautiful card Susan and I am glad you joined us at A Die For A Sketch. Total cutness! Thank you for joining us over at love to createchallenges. OOH! 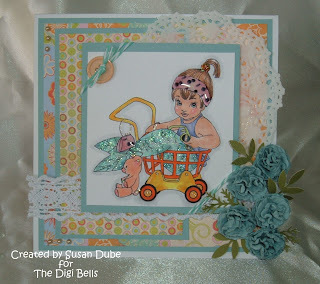 I loved this card when I saw it first at the digi bells! It's jaw dropping gorgeous coloring and the design fits in perfectly with the sketch this month at ADFAS! Thanks for joining us! Cute, Cute, Cute, this image is sooo cute. You made an stunning card. Thank you so much for joining us over at A die for a Sketch.